Competition is intense and with the blurring of differences in service proposition and fares, it becomes imperative that airlines use their on-time performance for messaging and brand building. A new battle has broken out in Indian skies and this time the fight is over punctuality and not the ticket price. Airlines are promoting their on-time performance (OTP) records and also taking potshots at each other with equal measure in a bid to lure to customers and grab market share. Interestingly, as it would seem from the war of words that has broken out between the airlines, time has emerged as the biggest differentiator among brands. Given the high degree of commoditisation, where every player uses price to lure customers, time helps add value to the brand. The domestic air travel market is growing at over 20 per cent and is fuelled by both corporate and leisure travel. Competition is intense and with the blurring of differences in service proposition and fares, it becomes imperative that airlines use their on-time performance for messaging and brand building. Earlier in the month SpiceJet released print and television advertisements celebrating its achievement of clocking the best on-time performance in November. Business travellers value on-time flights and the promotions were perhaps meant to attract a lucrative category of customers into their fold. But in this case the advertising is causing acrimony too as it hit a raw nerve with rival Indigo. Since inception IndiGo has carved out a brand reputation of being an on-time airline which has been in sync with its low-cost discipline. However in recent months its punctuality slipped below its rivals. IndiGo did not specifically name SpiceJet but it raised a storm of questions about the on-time performance calculation methodology in India and said the process is prone to fudging. The Directorate General of Civil Aviation is now reviewing the process. IndiGo’s complaint has also led to a debate in aviation circles on how airline punctuality is measured and tracked. For instance, the DGCA releases airline punctuality data of only four airports (Mumbai, Delhi, Bengaluru and Hyderabad) giving an incomplete picture of an airline's performance. Also the global indicators of on-time performance are not universally applied in the domestic space. Globally, a flight departure or arrival is considered on-time if it occurs within fifteen minutes of the scheduled time. Several factors come in play while measuring and comparing OTP of different airlines - fleet size, airport infrastructure, stage length of flights (whether an airline flies more long-haul or short-haul flights). Step away from the war of words over numbers say brand experts who ask two important questions. How do airlines manage customer expectations? And is punctuality an equally important factor as price? “Price is important but it is not the only factor. Business travellers can be influenced by frequent flyer programmes, fast track security can be important, priority boarding can be valuable. But above all consumers are looking for a recognition of their value. Punctuality is increasingly a key attribute as is being informed in a timely manner,” said Mark Clarkson, executive vice president (product development) of OAG, an air travel intelligence company. Earlier this month OAG released a list of top twenty punctual airlines in 2016 and it was led by Hawaiian Airlines, Copa Airlines and KLM. 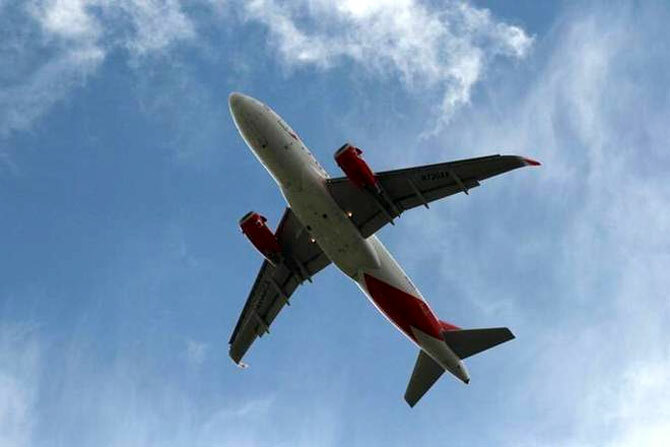 Another organisation, FlightStats, too released a similar report and stirred up a fresh controversy after it revealed Air India had the third-worst on-time performance in the world. Air India complained that such a description tarnished its image and the agency clarified it only announced top ten punctual airlines and the list of worst airlines was a journalistic interpretation of the available data. Are the airlines over reacting? “Statistics do not determine an individual experience. On a particular day the most punctual airline can have its flights delayed. Passengers these days are looking for a sum total experience. A good OTP is a given. By advertising its OTP SpiceJet is targeting IndiGo customers. I do not think this can be a long-term strategy and the focus should be on overall improvement in customer experience,” said N Chandramouli, CEO of brand insight company TRA Research. A Vistara spokesperson said that OTP is a basic hygiene factor that is expected of any airline. The spokesperson added that the airline’s entire efforts are devoted towards offering seamless experience to its customers by building highly efficient touch points right from booking a ticket to onboard experience and on to baggage claim. “For first time air travellers and holiday makers from India, it’s the price that will be the primary consideration while booking. For slightly mature as well as business travellers, OTP will be critical and they will make choices basis the reputation of the airline. For the evolved consumer, service and the overall experience in the flight will be the key determinant while making bookings. India has a higher mix of the first and the second category currently, with very few who focus on the service as a primary factor. OTP is most critical for corporate travellers residing in metro cities,” said Manmeet Ahluwalia, marketing head of Expedia India.